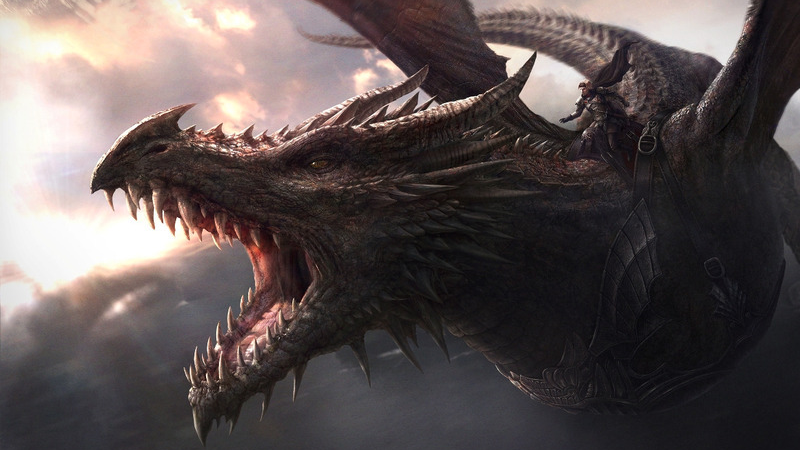 Image Credit: Aegon the Conqueror rides on Balerion the Black Dread. Artist: Jordi González Escamilla for The World of Ice and Fire. While not even George R.R. Martin himself is too sure about his prediction of a 2017 release for the long-awaited Winds of Winter, we now know at least one tale from the world of Westeros will see print this year: as part of an upcoming fantasy anthology book. Martin has penned several short stories set in the world of A Song of Ice and Fire in the past—and it looks like another is coming in this year’s Book of Swords, edited by Gardner Dozois. Eagle eyed fans spotted that a new listing for the anthology, which is due out October 10, advertises that one of the 15 stories contained within is “a new story from George R. R. Martin set in the world of A Game of Thrones.” Sadly, there’s not much more information about the story than that just yet. Before anyone gets too furious at the thought of Martin writing and publishing something this year that isn’t the latest entry in the A Song of Ice and Fire series, which fans have been waiting for since 2011, there’s a good amount of speculation floating around that this new tale isn’t actually 100 percent new content. Instead, it could be re-appropriated stories from extensive Westerosi lore Martin has written over the years for other projects, and read at convention appearances—something we know the author has a lot of lying around. But no matter what the story ends up being, at least there’s one teeny new bit of Game of Thrones content making its way out from the writer this year. We can only continue to hope that Winds of Winter isn’t too far behind it.